Dr. Dan is Director of the Bariatric Care Center at Summa Health in Akron, Ohio, and Associate Professor of Surgery at Northeastern Ohio Medical University (NEOMED) in Rootstown, Ohio. Dr. Daigle is a bariatric surgeon at Akron General Bariatric Center in Akron, Ohio. 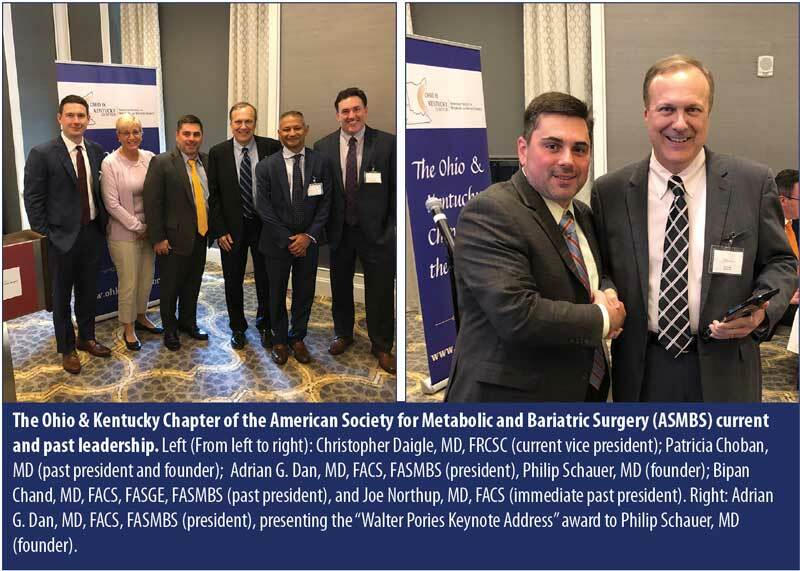 The Ohio and Kentucky State Chapter of the American Society for Metabolic and Bariatric Surgery (ASMBS) was first established as the Ohio State Bariatric Society (OSBS) in 2006. The OSBS was established to organize and advocate for the bariatric community on the state and regional levels. The similarities and geographic proximity of Ohio and Kentucky along the Ohio River made collaboration between the two states an obvious arrangement. Starting in 2018, the two states joined forces and formed the Ohio and Kentucky State Chapter of the ASMBS and officially began conducting business under the updated name as reflected in its newly designed logo and website (https://www.ohkyasmbs.org/). 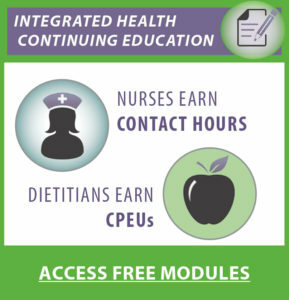 This has facilitated a synergy of resources that can be applied toward the causes of bariatric caregivers and patients. The region has deep traditions with bariatric surgery, having been home to many of its pioneers during the course of their storied careers. These include Walter Pories, MD, FACS; Donald Hess, MD, FACS; Michel Gagner, MD, FRCSC, FACS, FASMBS; and Philip Schauer, MD. Major contributions to our field include the development of the biliopancreatic diversion with duodenal switch (BPD-DS), which was first performed at Wood County Hospital in Ohio in 1988.2 Several centers have also produced valuable studies that have added tremendously to the general knowledge, as well as high-level evidence of the effectiveness of bariatric and metabolic procedures. Numerous institutions throughout the two states have long been venerated for some of the most prestigious surgical residency and fellowship programs in the country. As a result, the demand for bariatric and metabolic surgical procedures has been met with the delivery of high-quality bariatric care for decades at teaching and community hospitals throughout the area. 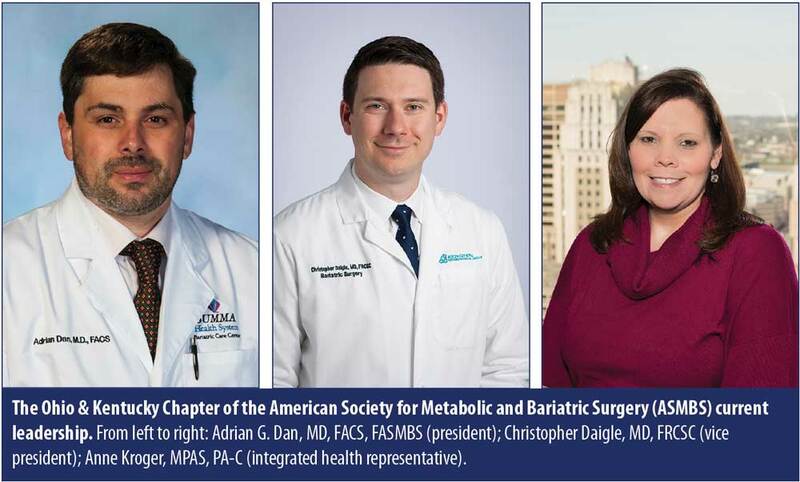 Ohio and Kentucky are home to 40 Metabolic and Bariatric Surgery Accreditation and Quality Improvement Program (MBSAQIP) centers.3,4 Several distinguished members of the chapter have held leadership positions in ASMBS as committee chairs and executive board members. Dr. Schauer, Professor of Surgery at the Cleveland Clinic Lerner College of Medicine and Director of the Cleveland Clinic Bariatric and Metabolic Institute (BMI) at Cleveland Clinic in Cleveland, Ohio, and Stacy Brethauer, MD, FACS, FASMBS, from the Cleveland Clinic BMI Department of Surgery at Cleveland Clinic, both served terms as ASMBS Presidents. The most notable recent accomplishment of the chapter has been the inclusion of bariatric surgery benefits by several payors that now are in line with the established and widely accepted National Institutes of Health (NIH) criteria. Thousands of patients now have access to bariatric care and can now benefit from surgical therapy. This feat was largely realized through the relentless efforts of Immediate Past Chapter President C. Joseph Northup, MD, FACS, who also serves as the chapter’s State Access-to-Care Representative (STAR) and co-chair of the ASMBS Access-to-Care committee. This year, the chapter revamped its annual meeting to include not only bariatric surgeons and bariatricians, but also to strongly encourage all to join the state chapter in their efforts to promote the benefits of bariatric surgery as well as increase patient access to surgical treatment of obesity. This includes all integrated health professionals, surgical residents, bariatric fellows, and industry partners whose efforts and dedication contribute to the management and success of bariatric patients. This conference, held in Columbus, Ohio, on September 14 to 15, 2018, revealed the strong interest that all clinicians have in the surgical treatment of obesity as well as unprecedented support from our industry partners. The agenda included lectures delivered by experts with international reputations, including Drs. Leslie Heinberg, PhD; Leena Khaitan, MD, MPH; W. Scott Butsch, MD; Dr. Northup, and Erik Wilson, MD. Newly established traditions included the inauguration of the “Philip R. Schauer Clinical Lecture,” delivered by Past Chapter President Bipan Chand, MD, FACS, FASGE, FASMBS, and the “Walter Pories Keynote Address,” delivered by Dr. Schauer. In the future, we hope to further expand our recent accomplishments in the areas of patient advocacy, bariatric surgical training, education for integrated health professionals, and research collaboration. Significant opportunity exists to facilitate such progress through enhanced local and regional organization. The chapter’s current leadership comprises Integrated Health Representative Anne Kroger, PA-C; Vice President Dr. Christopher Daigle; and President Dr. Adrian G. Dan. Chapter events and noteworthy bariatric news can be found on the group’s new online home at www.ohkyasmbs.org. Hess DS, Hess DW. Biliopancreatic diversion with a duodenal switch. Obes Surg. 1998;8:267–282. Centers for Disease Control and Prevention. https://nccd.cdc.gov/dnpao_dtm/rdPage.aspx? rdReport=DNPAO_DTM.ExploreByLocation&rdRequest Forwarding=Form. Accessed August 19, 2018. Kentucky MBSAQIP Accredited Bariatric Surgery Centers. American College of Surgeons. 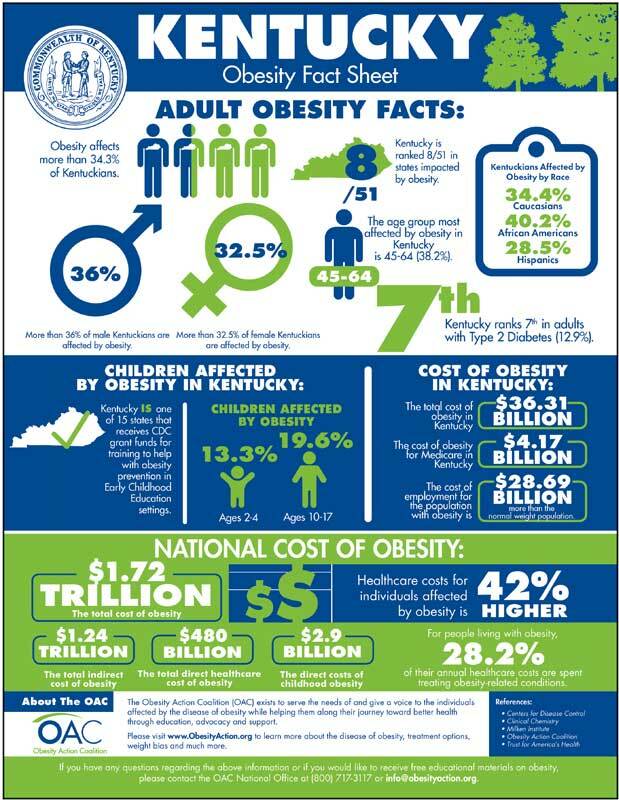 https://www.facs.org/search/bariatric-surgery-centers?page=1&n=25&state=KY. Accessed August 19, 2018. 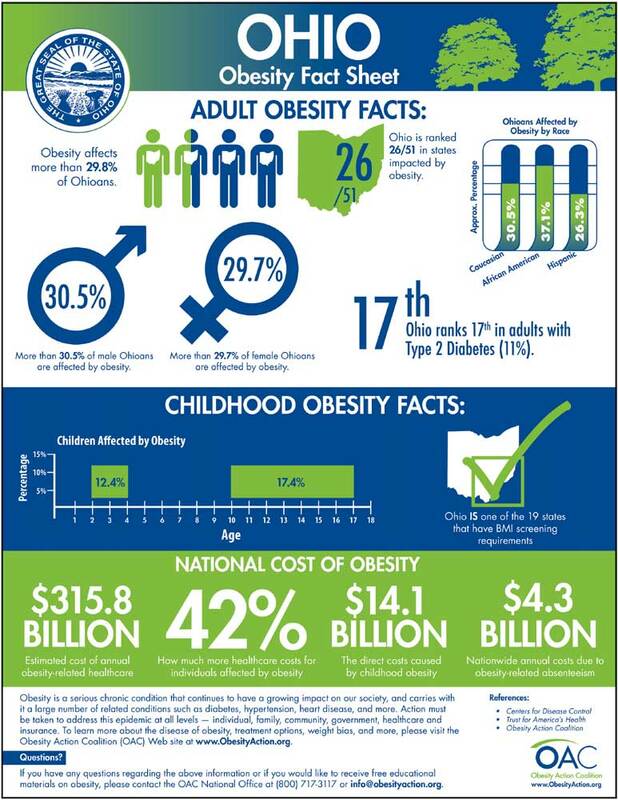 Ohio MBSAQIP Accredited Bariatric Surgery Centers. American College of Surgeons. https://www.facs.org/search/bariatric-surgery-centers?page=1&n=25&state=OH. Accessed August 19, 2018.